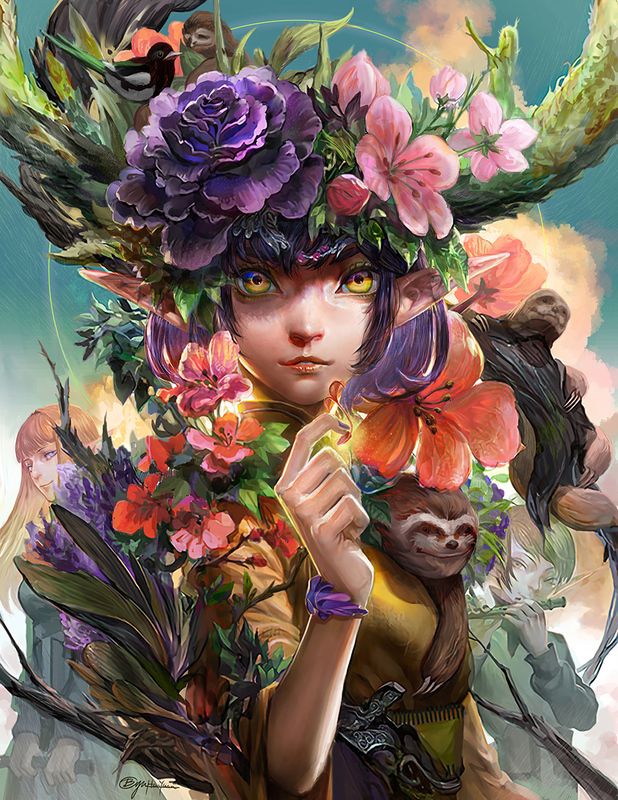 The girl in the middle is a spirit who takes charge of the blooming of flowers. Once she breathes on a seed from her hand, the seed will be blessed and start growing. There are two elves following the spirit with piccolos on their hands. By playing music, they can amplify the magical power from the spirit, bringing plants growing around the paths they pass through. Besides, the music also becomes a sign for people to know, the spirit is coming, spring is coming.